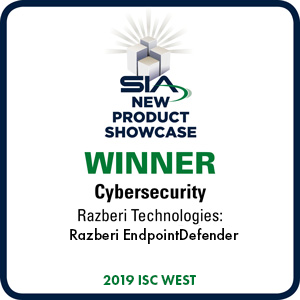 LAS VEGAS, NV – April 11, 2019 – Razberi Technologies was selected as the 2019 winner of the Cybersecurity New Product Showcase Award for its EndpointDefender™ and recognized on the main stage at ISC West, the nation’s largest security trade show. 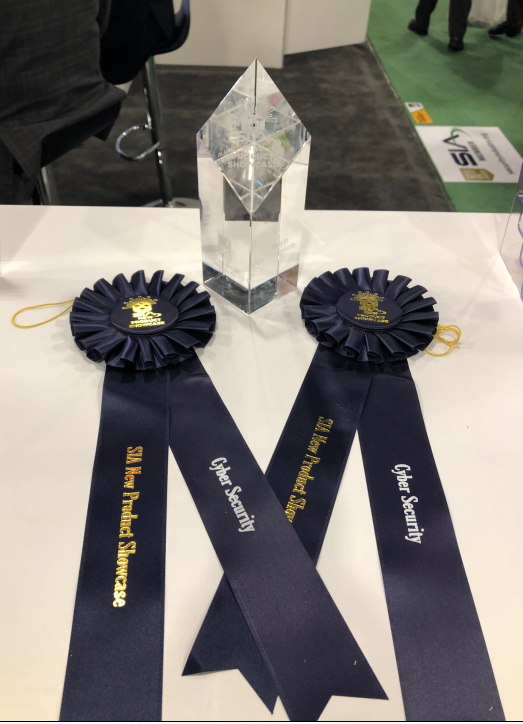 EndpointDefender™ is a plug-and-play network appliance that delivers the award-winning Razberi CameraDefense™ solution to harden cameras and networks from cybersecurity threats. 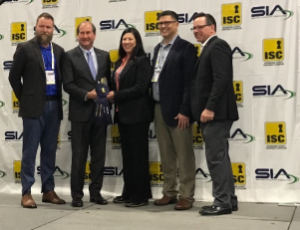 The Security Industry Association (SIA) named Razberi Technologies as an award winner at the 2019 SIA New Product Showcase Awards, the flagship awards program at ISC West recognizing innovative security products, services and solutions.